Daily Whip Out: "Ojos de Gringo"
Translation: Gringo Eyes (his mother was a blue-eyed Spaniard). Even though he is a master horseman and fluent in Spanish, he gets no respect, north, or south, of the border. He's too Gringo for the Mexicans and too Mex for the Yankees. 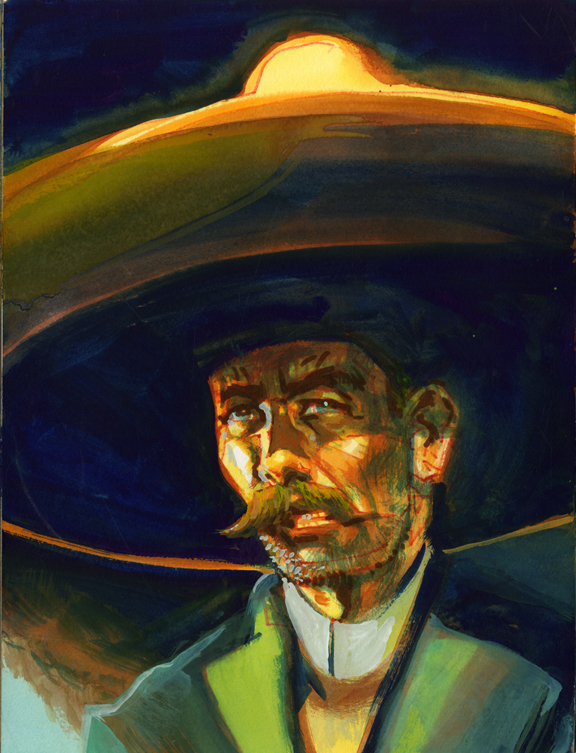 When his boss, a prominent Baja Hacendado, sends Ojos on a hunt for his prize horse—known up and down the Baja as The Mexicali Stud—Gringo Eyes tracks the horse north and east into Arizona where it all goes south. 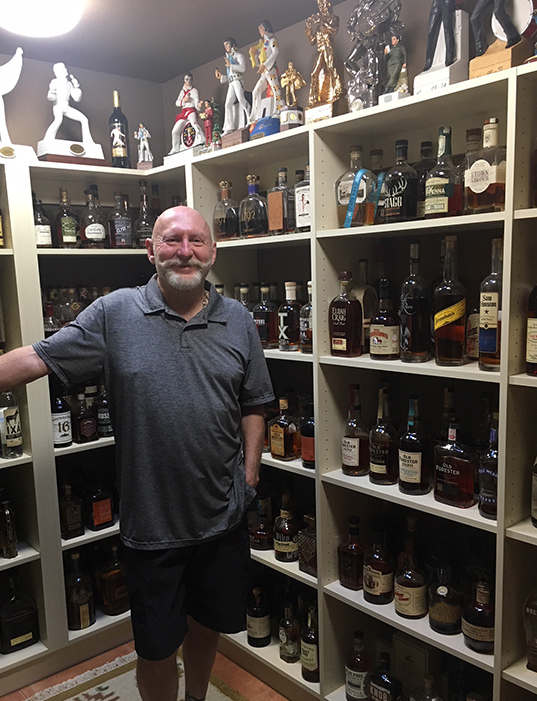 Larry Winget in his private bourbon stash room. Yes, those are all bourbon bottles from floor to ceiling, with Elvis Decanter Bottles along the top row. 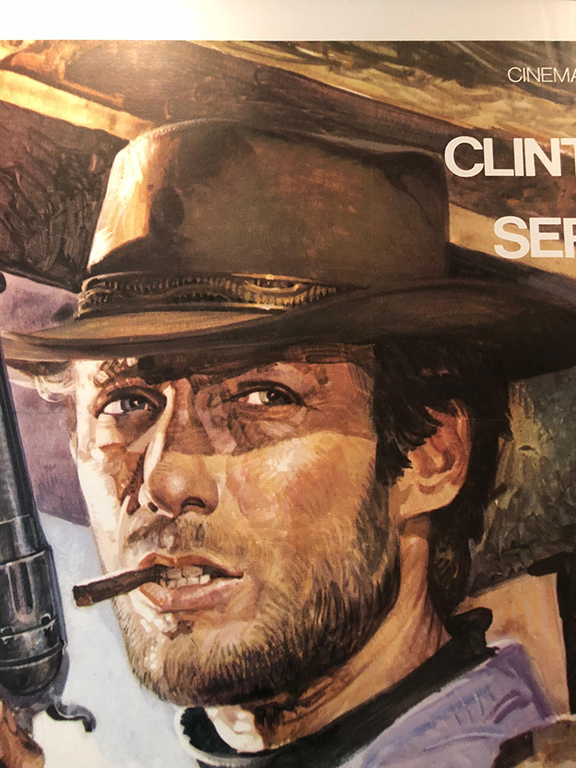 The movie poster is a big sucker, four-and-a-half feet wide by six-and-a-half feet tall. It is stunning, to say the least. Those damn Italians know what they are doing! Larry confided to me he got it for $3,750 framed. Dang! That is a steal. Anyway, that's where I got the inspiration for the face on "Ojos de Gringo," at top. I'm not there yet, but I see how they got there and I'm on the hunt. "A celebrity is a person known to many people he is glad he doesn't know."